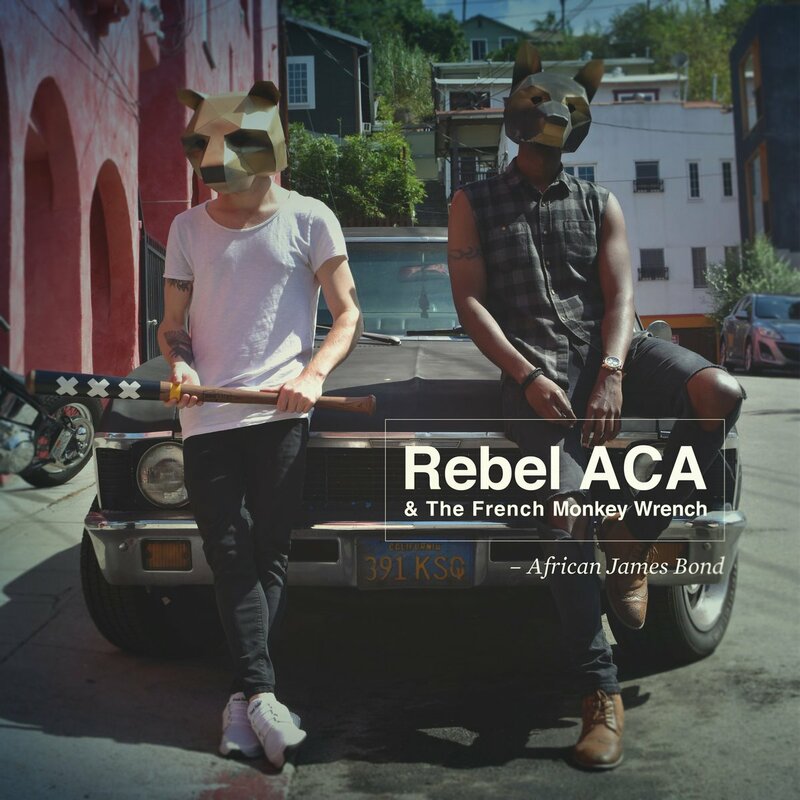 London-based recording artist Rebel ACA and producer French Monkey Wrench present their off-the-wall debut track “African James Bond” via UK indie label Buttercuts Records Limited. Mixing elements of modern folk, rock and Hip-Hop together with an international flair, the pair’s musical stylings is reminiscent of early Gorillaz and Massive Attack, primed for ears that crave fresh, unconventional sound with a meaningful underlying message. Even the song “African James Bond,” as peculiar as the name is, was created from a significant place as the two attempted to pull a dear friend out of a slump. “It’s a song about a friend of ours that suffered with depression. We have worked with him on a previous project and he is a very talented musician but for various reason he lost his way. We wrote the song to basically reach out to him and try and communicate – that he’s strong, and that life “it’s only rock and roll”… “hit reset, hit delete, it’s done mate, it’s so last week. “African James Bond” serves as the first single from their forthcoming album, Sunday’s Cool, slated for release in March 2018.